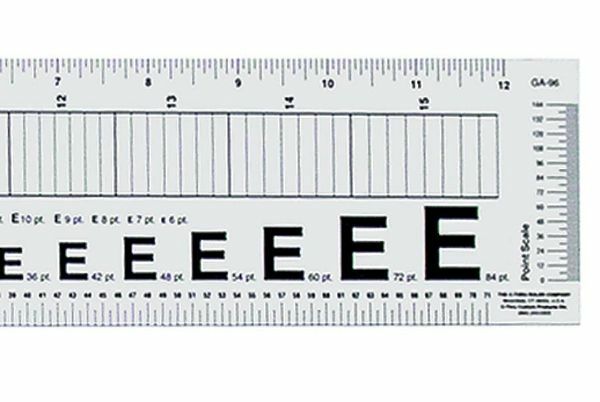 Transparent ruler laminated for permanence. * Includes scales in picas point sizes and 1/16" plus a leading gauge. 13.75" x 3" x 0.03"